Although vitamin D has long been known to promote bone health and protect the heart, researchers at John Hopkins Institute reveal that vitamin D might stop conferring cardiovascular benefits and may cause harm as blood levels increase above what is considered normal. According to Muhammad Amer, assistant professor of general internal medicine at the John Hopkins University School of Medicine, findings from the investigation demonstrate that rising vitamin D levels in the blood are associated with decreased levels of creactive protein. Together with Rehan Qayyum, another assistant professor, Amer analyzed data in the continuous National Health and Nutrition Examination Survey, a nationally representative sample, of over 15,000 adult participants from 2001 and 2006. In adults without cardiovascular symptoms but with fairly low levels of vitamin D, Amer and Qayyum discovered a different association between vitamin D and CRP, a factor associated with stiffening of the blood vessels and an increased risk of cardiovascular problems. They found that individuals with close to normal vitamin D levels had lower levels of inflammation. Any additional increase in vitamin D in blood levels was connected with an increased risk of developing CRP. Amer, who lead the study and whose discoveries can be found in the American Journal of Cardiology, explained: "The inflammation that was curtailed by vitamin D does not appear to be curtailed at higher levels of vitamin D. Clearly vitamin D is important for your heart health, especially if you have low blood levels of vitamin D. It reduces cardiovascular inflammation and atherosclerosis, and may reduce mortality, but it appears that at some point it can be too much of a good thing." Physicians should know about the potential risks of vitamin D supplements and consumers should be cautious before taking them. Every 100 international units of vitamin D consumed daily generate approximately one nanogram per milliliter increase 25-Hydroxyvitamin D levels in the blood. 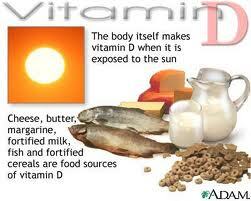 Amer said, "People taking vitamin D supplements need to be sure the supplements are necessary. Those pills could have unforeseen consequences to health even if they are not technically toxic." According to Amer and Qayyum, the molecular and biological mechanisms responsible for the loss of cardiovascular benefit are not clear. The primary source of vitamin D is the sun. Although commercially sold milk usually contains vitamin D, very few foods contain this nutrient. Concerns are increasing that several individuals are deficient in vitamin D, as people spend more time indoors and protect their bodies with sunscreen. Amer said, "As a result many doctors prescribe vitamin D supplements, and many consumers, after reading news stories about the vitamin's benefits, dose themselves. Older women often take large doses to fight and prevent osteoporosis."